With 25 years of real estate experience, Barry Fishbach specializes in retail leasing in New York, New Jersey and Long Island, as well as investment sales in the Greater New York City area. Barry currently exclusively represents Capital One Bank, having completed 25 transactions with the financial institution, PetSmart, MattressFirm, UFC Gym, BONMi and FedEx Office. He has also represented numerous other banks, including Bank of America, Citibank and Chase. Past transactions for which Barry was responsible include securing 12 new locations for PetSmart, including a 20,777-SF lease at Pelham Manor in Pelham, NY; a 17,609-SF lease at 240 Atlantic Avenue in Brooklyn; and an 18,216-SF lease on Montauk Highway in West Babylon, NY. He recently arranged a 4,300-SF lease for Capital One Bank at 301 West 125th Street, as well as a 15,990-SF, multi-level Flagship at 841 Broadway; and a 13,715-SF lease for Modell’s Sporting Goods at Fresh Meadows Shopping Center in Queens. Barry is currently marketing 140,000-SF at Hudson Lights in Fort Lee, NJ on behalf of Tucker Development Corporation. 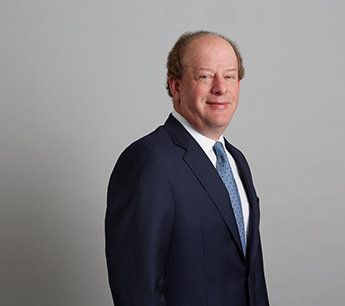 His prestigious roster of ownership clients has also included Blackacre Capital Management, Apollo Real Estate Services, Tishman Speyer Properties and Vornado Realty Trust. As landlord’s agent, Barry arranged a 2,500-SF lease with Shake Shack at 409 Fulton Street in Brooklyn; a 9,000-SF lease with BNB Bank at 309 Fifth Avenue in Manhattan; and numerous transactions at Hudson Lights in Fort Lee, NJ, include leases with CVS/pharmacy, Capital One Bank, Paris Baguette, Cycle Bar, Coldwell Banker and iPic Theatre. Past transactions he also completed include leases with BJ’s Wholesale Club, Bed Bath & Beyond, P.C. Richard & Son, Duane Reade, Foot Locker, CVS/pharmacy, Forever 21, Rainbow Shop, Applebee’s, Modell’s, Walgreen’s, Panera Bread and Staples. Past exclusive tenants Barry has represented include The Children’s Place, Zales, The Sports Authority, Design within Reach, Bally’s Total Fitness, 24 Hour Fitness, Sprint and MAC Cosmetics. Sales transactions in which Barry was involved include the 141,599-SF sale of Flatbush Center in Brooklyn for $35.5 million on behalf of Forest City Ratner; the former 265,000-SF Caldor Department store on Fordham Road in the Bronx on behalf of Vornado Realty Trust, which sold for $25.5 million; 10-acres to Thor Equities on Shore Parkway in Brooklyn; and the 11,000-SF retail condominium at 49 West 64th Street in Manhattan. Barry has also handled the disposition of surplus property for numerous retailers, including Federated Department Stores, Rite Aid, CVS/pharmacy, Citibank, Macy’s, United Artists Theatres, Woolworth, Loews Cineplex Entertainment and Capital One Bank. Barry received a Bachelor of Science Degree in Business Administration from The George Washington University. He is a licensed Real Estate Broker in the states of New York and New Jersey and is a member of the International Council of Shopping Centers.